The city centre is home to come of the most quirky, beautiful and romantic cafes in Auckland and provide just the setting for that perfect Instagram snap. 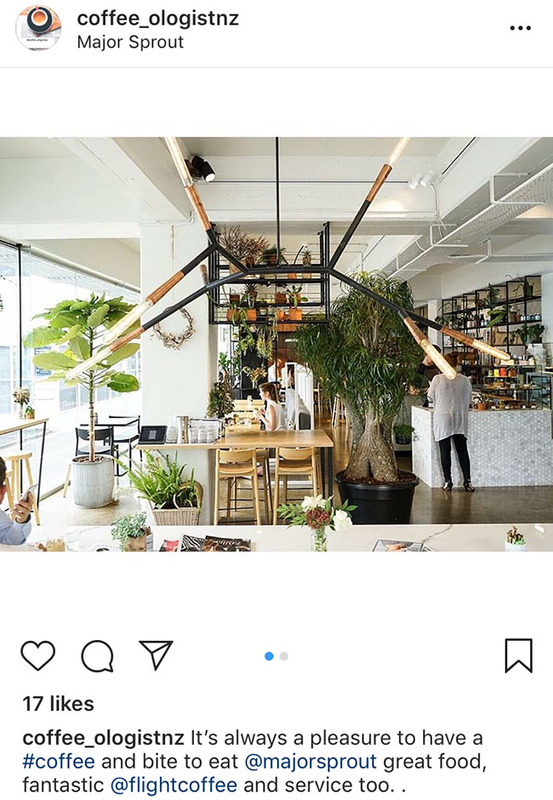 Whether it’s posing alongside colourful interiors or basking in a botanical haven, we have a cafe for every style (and ‘gram account). Dotted with colourful neon lights and adorable budgies painted against the walls, Rude Boy Deli is unbeatable when it comes to neat cafe interiors. 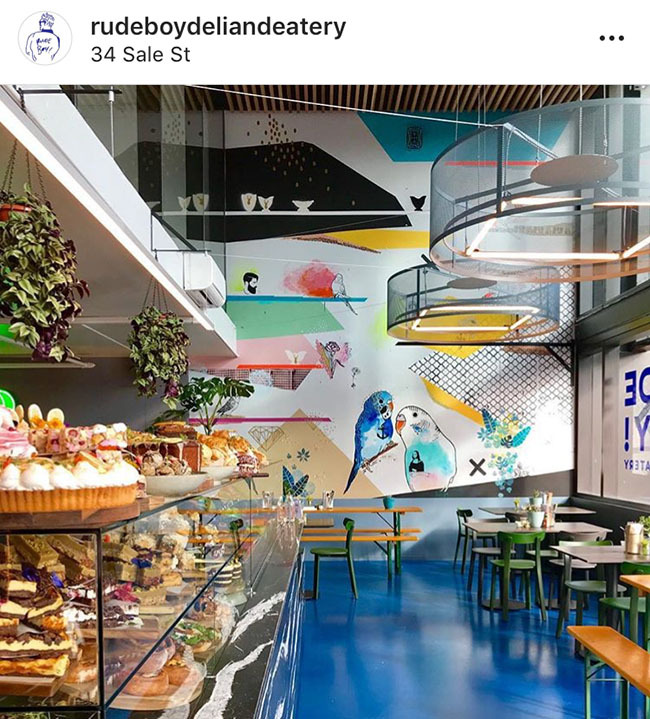 Lined with electric blue floors, the new cafe has an artistic touch that is sure to brighten any day. Choose from the abundance of beautiful cabinet food or order an innovative dish off the menu, for an upbeat experience at Rude Boy. Amano is Auckland’s must-try destination, with bunches of gorgeous dried flowers lining the roof in a light-filled interior overlooking the ocean. 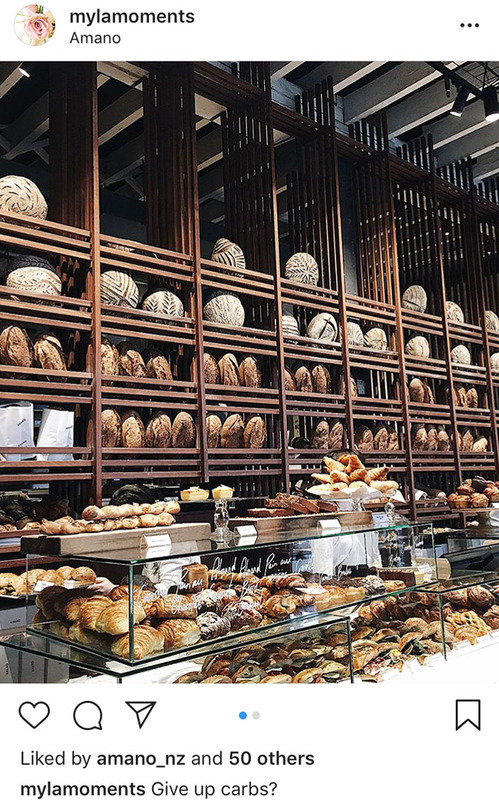 Choose between the stacked shelves of fresh artisanal baking or their French Viennoiserie range available every morning, including croissants and cravats. Never pass up a photo opportunity with indoor hanging plants, a bright white exterior and sleek full length windows. Fixed with modern hanging lights, glossy marble tables and a cabinet that looks like a piece of art, Major Sprout’s industrial cross radiant atmosphere is the photogenic brunch spot for your weekends. 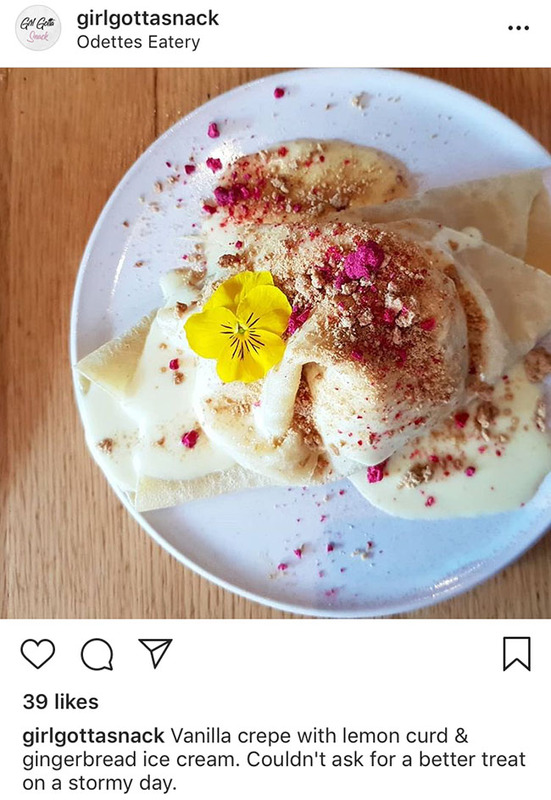 Edible flowers are the way into many an Intagrammer’s heart. The beautifully presented food, tall ceiling and the flood of morning sun into Odettes, makes it the number one eatery for an aesthetic dining experience. Enjoy the modern and minimalistic decor while you feast your eyes on the delicious menu. 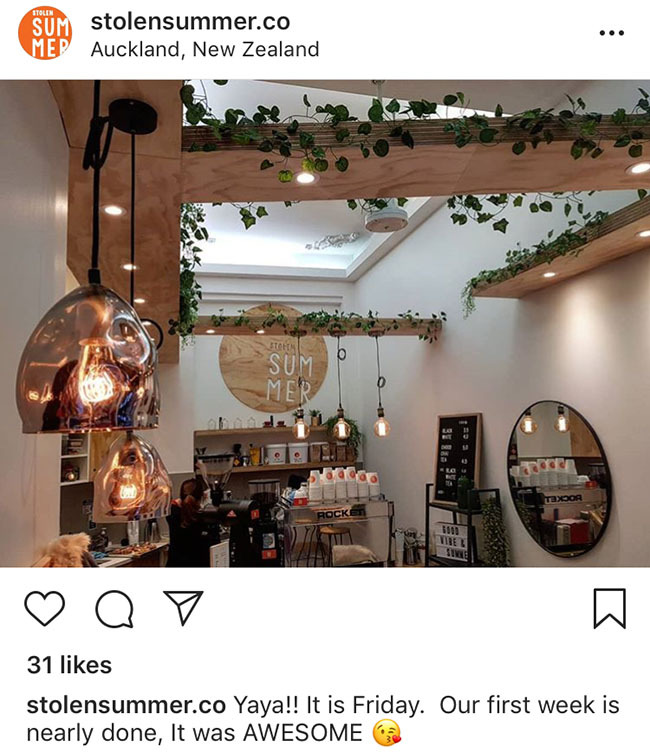 Washed with light wood and potted with small house plants, Stolen Summer is a cozy coffee oasis, perfect for a morning or afternoon visit. Capture the daily blackboard quotes outside or the rows of homebaking inside, for that perfect Instagram update.